The Big Game Conservation Association administers programs for various pursuits. Watch this page to see what we offer. Of course send us suggestions for any programs you think we may need. We will be awarding a $500 scholarship in 2019. It will be available to a Nebraska resident pursuing a Fisheries & Wildlife degree at one of the many Nebraska institutions of higher learning. Ruby Rolland grew up in Blair, Nebraska. She attended Blair High School and is a 2017 graduate. During this time she was in National Honor Society and was awarded honor roll for eight consecutive semesters. Not only will Ruby be attending the University of Nebraska-Lincoln but pursuing a Fisheries and Wildlife degree. Of course she has always been involved in the outdoors. Whether it was fishing, hunting, or hiking. No doubt a fisheries and wildlife major is a perfect fit for her. 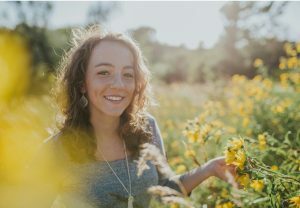 Ruby also plans to continue her high school Spanish by pursuing a minor in it while at UNL. Outside of school, Ruby volunteers for Ducks Unlimited and her church. Hunter Swanson is a senior at Arapahoe High School in Arapahoe, Nebraska. An avid outdoorsman, he has grown up in an environment that taught him the true importance of wildlife and habitat conservation. He gives back to nature what he gets out of it. 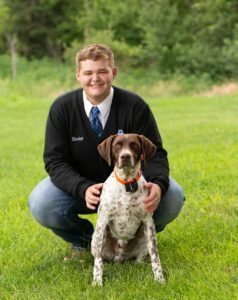 Hunter is the Pheasants Forever and Quail Forever National Youth Leadership Council Vice President, Republican Valley Pheasants Forever Youth President/Founder, and a member of the Nebraska Game and Parks Collegiate Advisory Board. Hunter has also taken part in legislative affairs, traveling to Capitol Hill in order to advocate for certain legislation for the benefit of wildlife and habitat. He hopes to continue his local projects of education and outreach while pursuing a degree in Fisheries and Wildlife at the University of Nebraska-Lincoln.